Last week I set myself 5 objectives for the summer. 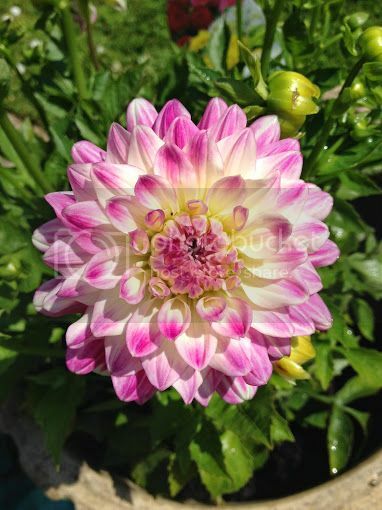 I am pleased to say that even though I have been poorly, I seem to be doing a better job than last year. 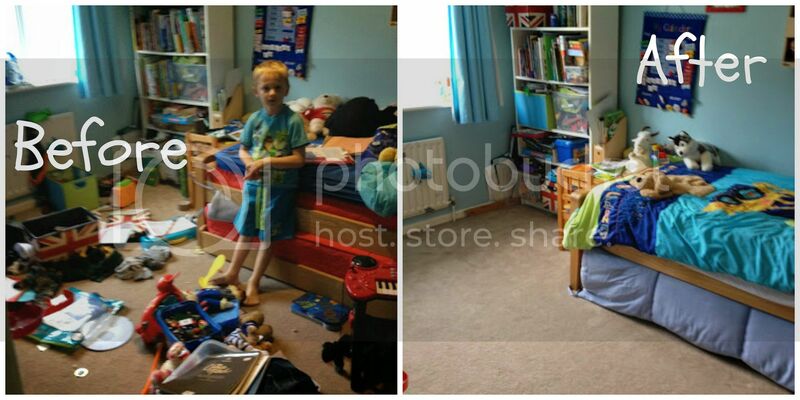 I had a big clean at the weekend and big man's room is now looking much better. Now the challenge is to get him to keep it like this. So far it is not too bad and I keep sending him to tidy - which usually means I go up to find him colouring. I tidied a couple of pictures, putting them into frames. Space family photo for big man's space room and the Moshi Monster's one for middle man. I have said yes to a couple of small food reviews to make myself do some cooking and OMG I am glad I did as the plum crumble I made was delicious and will certainly be made again. And finally I went to the garden centre and bought a few plants to brighten up the garden. My new favourite flower in the garden. So all in all I am feeling rather smug with how well I have done this week. Let's just hope that my determination continues! :-) I need to train mine. Big man just keeps cutting up paper! Well done on your good start! The flowers are lovely and the pudding looks really yummy! Great work on yours! It's going much better than mine! The pudding was fab! Will def do that again. Worried I won't keep the momentum!